Gamers, imbibers and online app daters rejoice! Your new favorite meetup location has arrived and it's in the form of a sci-fi arcade bar. 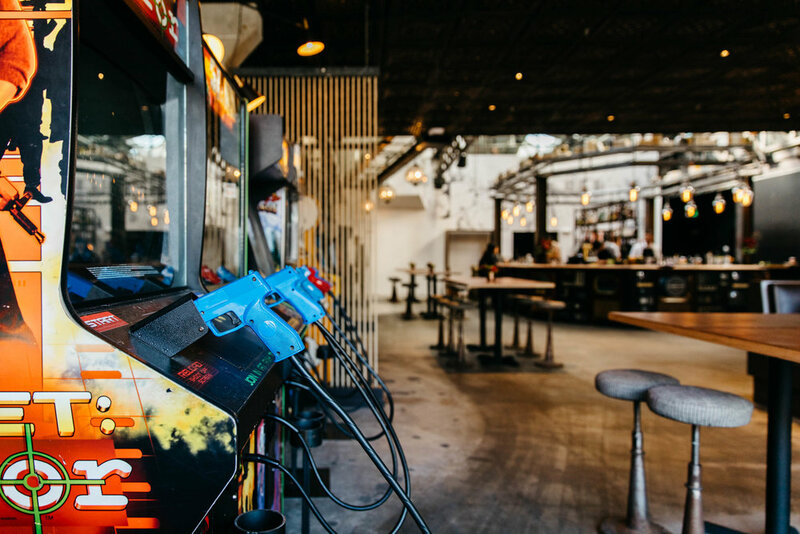 Coin-Op is a 10,000 square foot, design-driven reimagining of an old steel mill, taking over the former Drake Lounge space in SoMa, with a very specific tip of the cap to a wistful reimagining of our adolescence. "To walk into a place like Coin-Op can bring back so much nostalgia with the games we remember, and an elevated version of the food we loved," says Alicia Lichtenstein, sfHEIMAT co-founder and one half of the interior design duo that brought Coin-Op to life for Sporting Fraternity, Inc., the team behind San Diego's The Lion's Share. The San Francisco expansion of the San Diego and Sacramento Coin-Ops now becomes their flagship location. "It almost feels like you’re showing your adolescent self 'hey, stop worrying and enjoy your youth!' Plus, now, you can drink, and they make killer cocktails," Lichtenstein adds. Occupying two stories and divided into several unique sections, the most consistent design inspiration throughout Coin-Op was actually lifted from both the 1982 original and 2010 remake of the film Tron, a personal favorite of the client when discussing arcade culture and games with cult followings. "We drew inspiration from the journey that the main character, Sam Flynn, goes through as he tries to find out what happened to his father," says sfHEIMAT's other co-founder, Eva Bradley. "The Octagon Bar (located on the first-floor) is inspired by the beginning of the movie where we see Sam's home: a waterfront warehouse which has old De Sede sofas and has a natural, bachelor pad vibe. It's more casual, approachable, and has lots of vintage items," she says. "When Sam starts really searching for his father again, he goes to the now shut down arcade - named Flynn’s - for clues. It was the perfect name for our upstairs bar," says Bradley. The Flynn Bar offers a more tailored, modern and sleek "loungey" feel than the downstairs Octagon Bar. Upstairs also provides some cheeky design features, including a giant Lego bar and a drink ledge made of a terrain of yoga G.I. Joes. 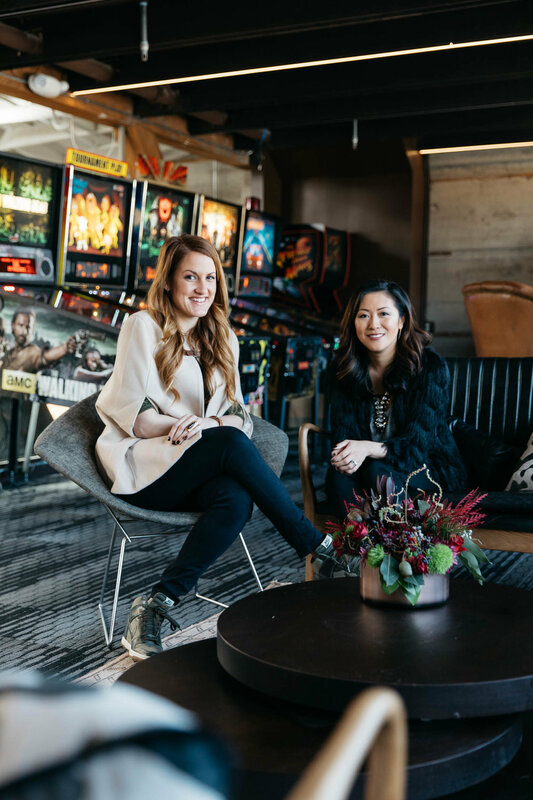 sfHEIMAT co-founders and interior designers Eva Bradley and Alicia Cheung Lichtenstein. The Grid speakeasy is the most futuristic and “Tron-like” of all the spaces. 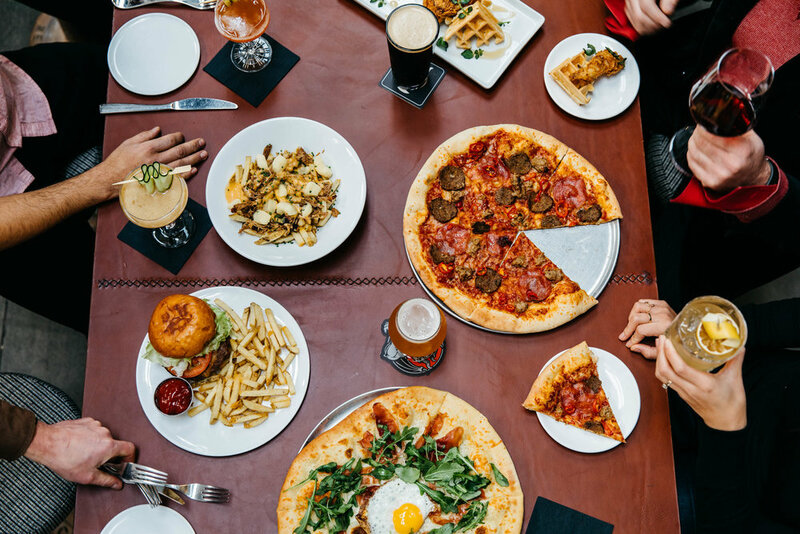 "It's a hidden gem in which you have to know how to get in, to get in," says Lichtenstein, "the vibe is very different from the rest of the space, and you’ll definitely want to explore that bar, not to mention there is a special menu set for the Grid only to try out." Chef Mark Bolton (San Diego’s The Lion’s Share) designed Coin-Op’s opening menu, before passing the torch to Executive Chef James Liles, and the menu features a unique take on comfort foods from our childhood with corn dog bites, deviled eggs, and chicken and waffles being offered alongside craft cocktails. Arcade games will also be rotated on a monthly basis, showcasing classics as well as contemporary favorites. 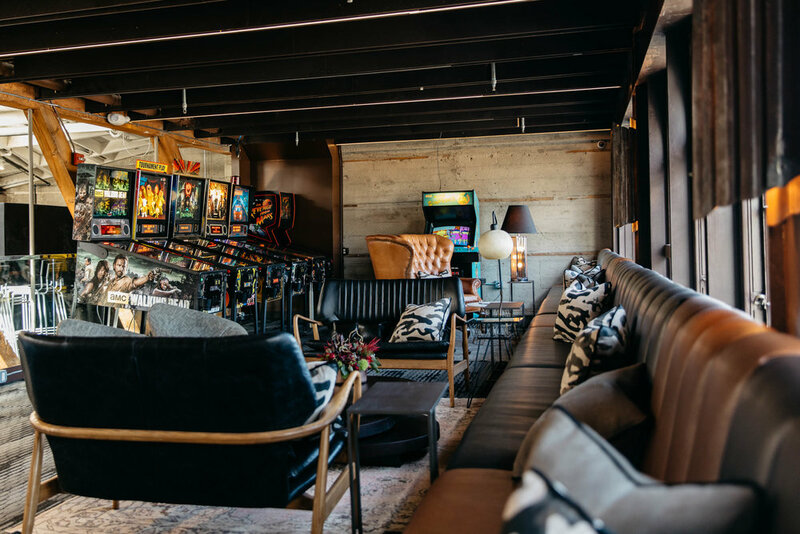 Nobody blends functional and fantastical design quite like SF, "it’s that San Francisco magic where everyone is welcome, and everyone is different," says Lichtenstein, so grab your quarters and head over to Coin-Op, because they're ready for player one. Coin-Op is located at 508 4th St, San Francisco, CA 94107 and is open daily from 4pm-2am.